A quick roadie down to Seattle for some good times led me back to a great pizza place that’s worth all the hype. 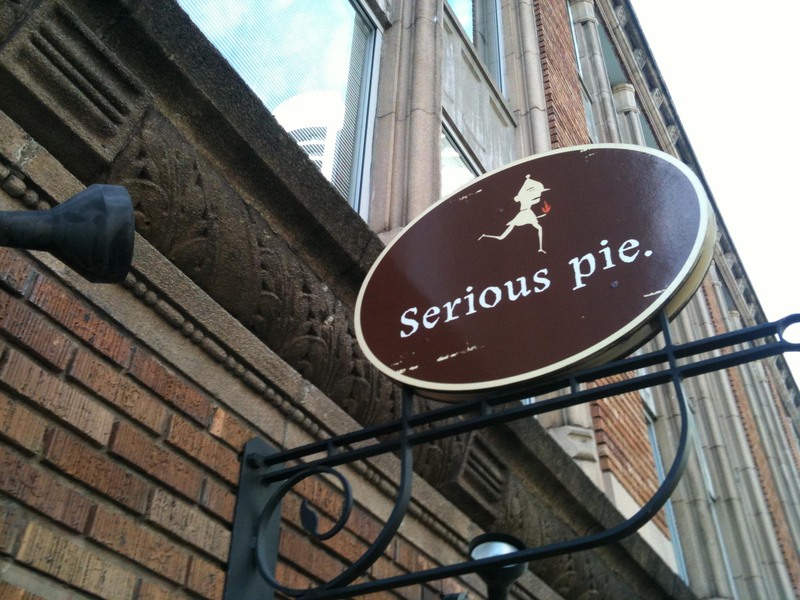 Serious Pie is my favorite Tom Douglas restaurant I’ve tried, but it takes some strategy in order to secure a table. There’s usually wait times of over an hour, so your best bet is to put your name down in advance and then ask them to call you when your table is ready. Or another option is to go for an early dinner, (we went at 6pm) and we were able to walk right in. 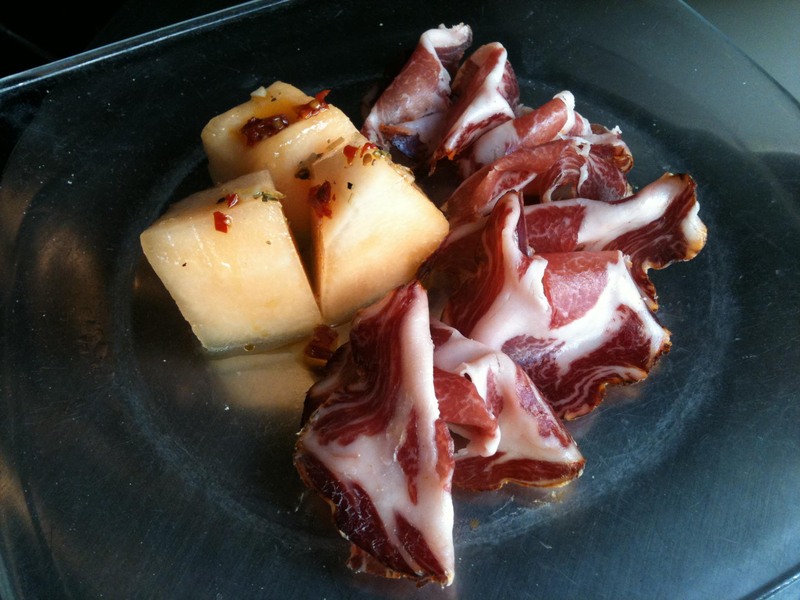 I’m not used to eating so early and was afraid that I wouldn’t have enough of an appetite to do my visit justice. There’s so many good things on the menu though, I couldn’t help but to order a ton of food. 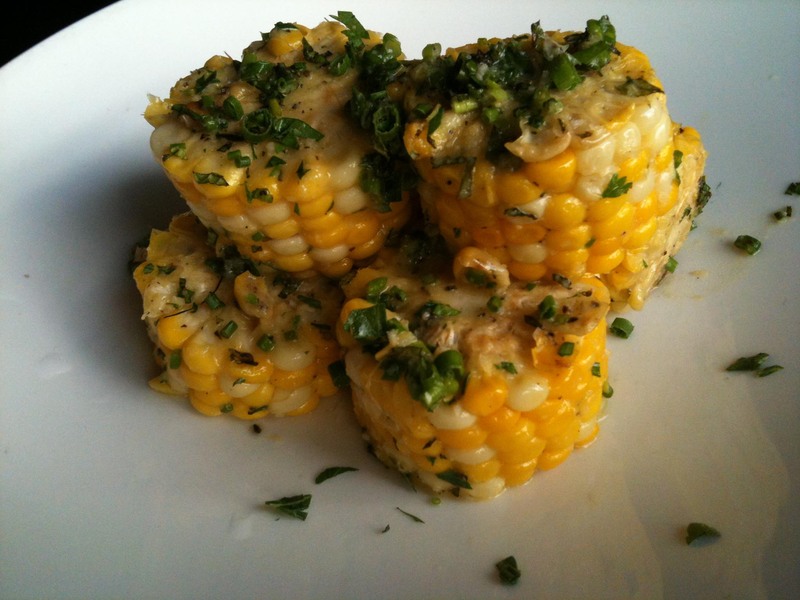 Seriously tasty sweet Washington corn with mint & parsley. House guanciale and soft egg, topped with arugula – I’m a sucker for pizzas topped with an oozing soft egg. 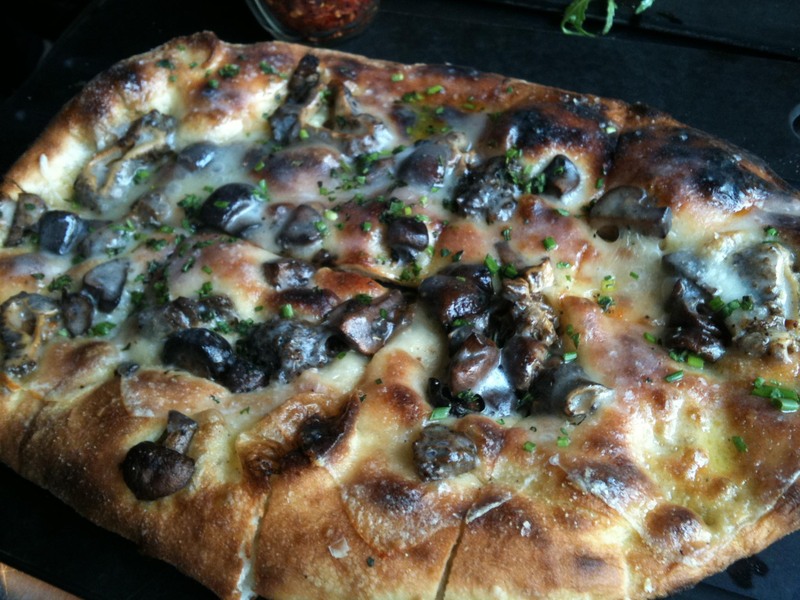 Chanterelle and crimini mushroom with truffle cheese – The mushrooms were wonderful, I just with the pizza was a bit more “truffle-y”. The pizza here rates amongst some of the best wood burning oven pizza I’ve had and stands up to places like Mozza(LA) or Otto(NYC) and Apizza Scholls (PDX). Can I tell you which is the best? absolutely not. 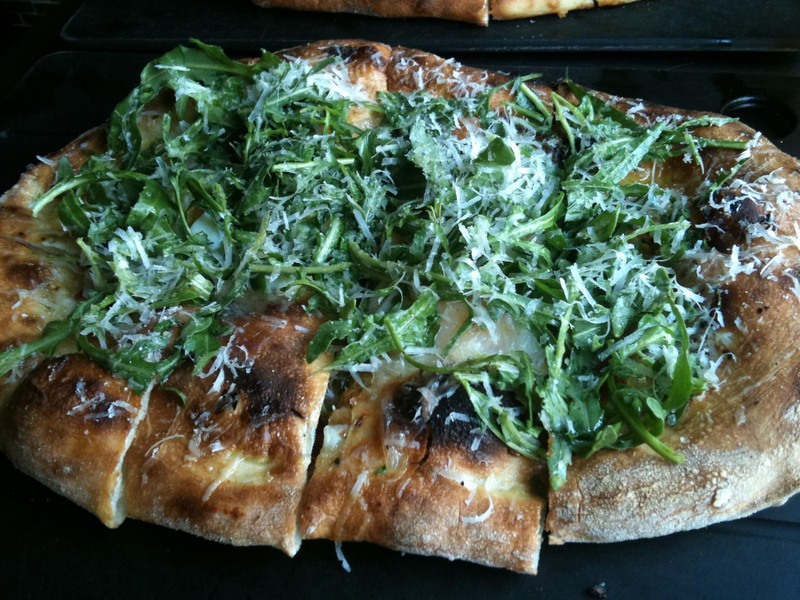 I’m sure that the crusts of each have their own unique characteristics, but all have light, crispy, blistered crusts that make for a really good pizza. The only way I could honestly compare all these really good pies would be to eat each one in a side by side taste test. And unless you have a human transporter, then it’s not going to happen. I can tell you that I wasn’t disappointed at any of the above and I always left Serious Pie totally happy. Actually, I enjoyed the pizza so much that I ordered a pizza to go, knowing that I’d be hungry again in a few hours and it would be a great late-night snack. 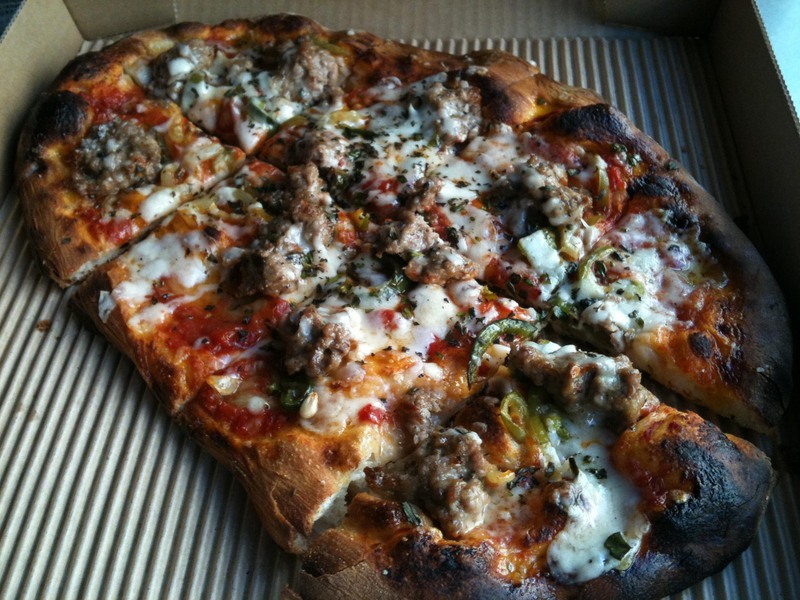 Sweet fennel sausage, roasted peppers, provolone – delicious cold too!